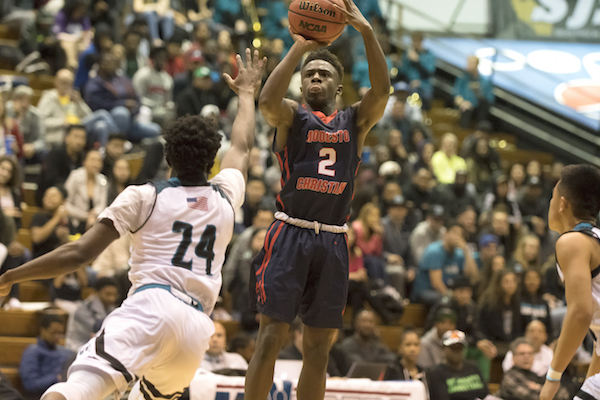 There are a lot of intriguing sub-plots to the 2018-19 boys basketball season at Modesto Christian. Can the Crusaders emerge as the better team compared to CIF Sac-Joaquin Section Division I rival Sheldon-Sacramento — especially since both teams are in the top two positions for Northern California to start the season? Will the program’s state record and hard-to-fathom 184-game league win streak (which dates back to 1996) finally come to an end after joining the Tri-City Athletic League? And, how will the team do playing in memory of one of the school and program’s original founders, coaches and leaders? Those are all sub-plots, however. That’s because the commanding principle that has guided the Modesto Christian program from the later years of long-time head coach Gary Porter, through the tenures of Richard Midgley and now Brice Fantazia, has been to play the best competition possible. The Crusaders seek that competition not just to prepare for the playoffs, but also just to test themselves against the best. 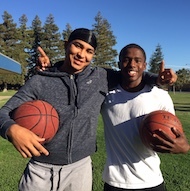 “When Coach (Gary) McKnight called (from Mater Dei-Santa Ana) and asked if we wanted to play Oak Hill Academy, I didn’t hesitate,” said Fantazia, now in his third year heading Modesto Christian. The Crusaders will indeed face Oak Hill at the Nike Extravaganza in Southern California on Jan. 26. If you don’t know, Oak Hill is a prep school in Virginia and has more NBA alums than any high school or prep school in the nation. It’s finished No. 1 in the nation multiple times under head coach Steve Smith. 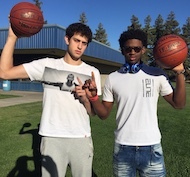 Modesto Christian will be out-matched by talent on the floor. None of that matters to Fantazia or his players. That schedule begins at the NorCal Tip Off Classic on Nov. 24 in Newark against a Santa Margarita-Rancho Santa Margarita squad that should be one of the best in Southern California. The Eagles have two players signed to Pac-12 programs, Jake Kyman (UCLA) and Max Agbonkpolo (USC). 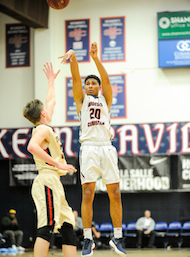 Modesto Christian also has two games at the HoopHall West in Arizona, travels to the Clovis West Nike Invitational in Fresno, plays fellow NorCal power Salesian-Richmond on Dec. 22 in San Jose, hosts its own Modesto Christian Holiday Hoopfest and faces preseason state No. 4 St. John Bosco-Bellflower at the MaxPreps MLK Showcase on Jan. 21. 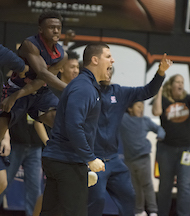 The players and coaches also know that playing all of those top teams could benefit in a run to repeat as the CIF Sac-Joaquin Section Division I champion. More importantly, it could help the Crusaders get past section rival Sheldon to perhaps reach the CIF Open Division state championship. There have been years in which Modesto Christian and Sheldon have played three times. Last season, the Huskies and Crusaders met for the SJS Div. I title with Modesto Christian winning on the strength of a 40-foot shot near the end of the game by now graduated Junior Ballard. 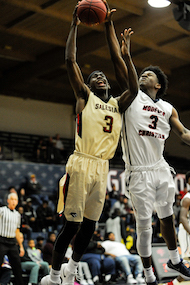 In the NorCal Open Division playoffs that followed, the Crusaders lost in the semifinals to Bishop O’Dowd-Oakland while the Huskies bounced back to win that title. Sheldon then lost to Sierra Canyon-Chatsworth in the state final. O’Dowd was hit hard by graduation. Saleasian-Richmond was too, to some degree. Sheldon added standout junior transfer Marcus Bagley to an already stacked roster. The Crusaders lose three key players in Ballard, center Gabe Murphy (Aaron’s older brother) and guard Tyler Williams. They have a lot back, though, since Aaron Murphy (6-foot-7 forward), Tsotne Tsardsidse (6-9 center), Pearson (5-11 guard) and Dathan Satchell (6-3 guard) were major contributors. Plus, there’s the arrival of freshman sharp-shooter Devin Day (6-foot-3 guard) and expected impacts from improving players like Alex Merkviladze (6-8 forward) and Earv Knoxx (6-0 guard). But will it be enough to beat Sheldon? “Nobody talks about us winning the section game; it’s just about getting to state,” Fantazia said. “We’re not really planning for a section championship. For us, it’s all about state and it’s probably going to require beating Sheldon (maybe twice). It also may be tough for the Crusaders to keep their state-record league win streak going into the 2019-20 season. It was thought the streak might get snapped in league games last season against Beyer-Modesto. Modesto Christian still won those Modesto Metro Conference games by 20 and 33-point margins. They’re now in the Tri-City Athletic League, which will involve longer trips for road games against schools like St. Mary’s-Stockton, Lincoln-Stockton and Tracy. Winning at St. Mary’s, which also should have one of the top teams in the section, may be especially tough. Porter, who led the program from 1996 to 2014, wasn’t the only member of his family to leave a lasting imprint on the school and community. His father, Howard, was on the bench with him for all of those years and in later years was at all of the games. For nearly 30 years, he was known as “Papa Porter” to every Modesto Christian player. Earlier this year in September, however, Howard died from complications of a stroke. He was 89. The current players didn’t have the opportunity to connect with the elder Porter in the same way, but they knew of him and will be thinking about him. Somehow, someway that’s probably already happened. Whether the Crusaders get through their schedule primed and ready for a spot in the CIF Open Division state final remains to be seen. There’s every indication this year’s team will be stronger than last year. And that team just about got that far. 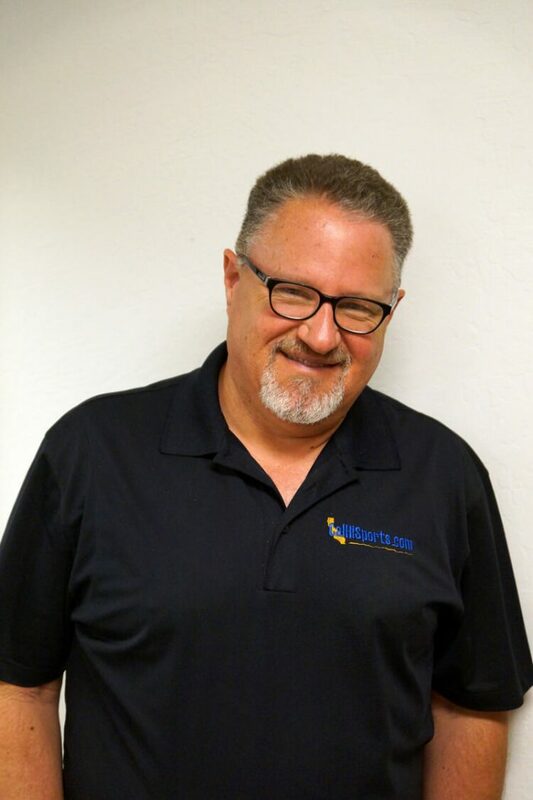 Mark Tennis is the co-founder and editor for Cal-Hi Sports. His work appears special to SportStars.